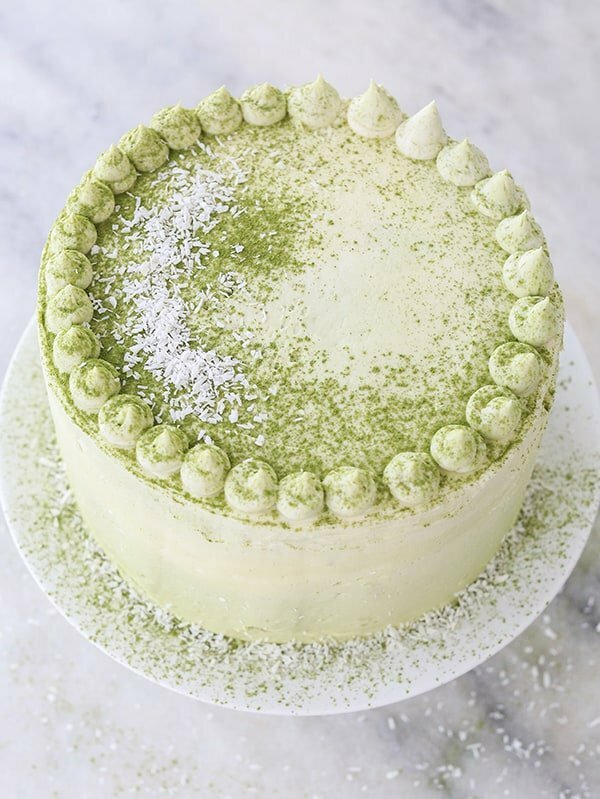 A few weeks ago I had the urge to make a matcha cake! 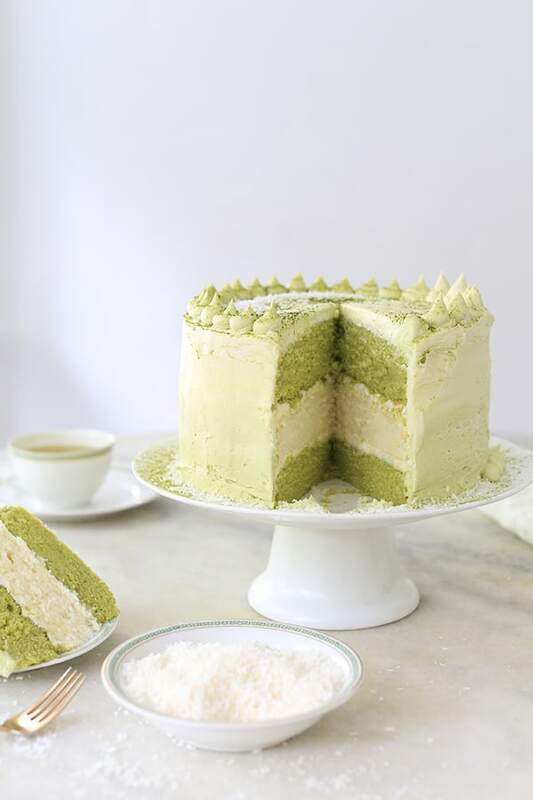 I had some matcha green tea powder left over from these, so I made a layered coconut and matcha cake recipe with a matcha buttercream frosting! It turned out wonderful and was such a fun flavor combination! I used coconut extract to flavor the coconut layer and then organic matcha powder for the green layer. The color turned out perfectly! I also love how both flavors are tasted throughout the cake. I actually had enough cake to add one more coconut layer, but opted out of making it a 4 layer since it wouldn’t fit on a normal dessert plate! You have to make two cakes to get the layers. I started with a coconut and while it cooked made the matcha layer. 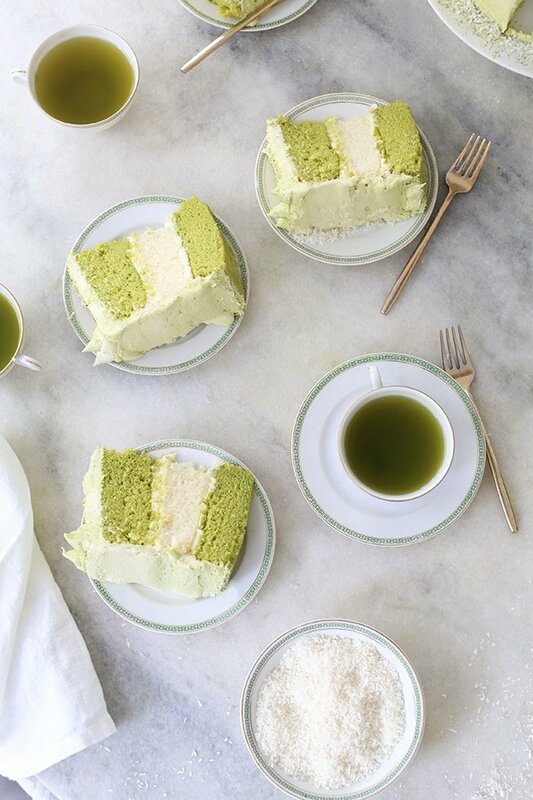 If you’re up for a fun dessert or hosting a tea party, this matcha cake is the cake to make! I used this buttercream recipe and added 2 tablespoons matcha powder to it! You can adjust and add what you think! Whisk together the milk and egg whites in a medium bowl. the flour mixture, still beating on medium speed. remaining dry ingredients until incorporated. then add the last of the dry ingredients. Finally, give the batter a good 2-minute beating to ensure that it is thoroughly mixed and well aerated. when my toothpick comes out with a small amount of crumbs, not clean. cakes, unfold them and peel off the paper liners. Cool to room temperature, right side up. 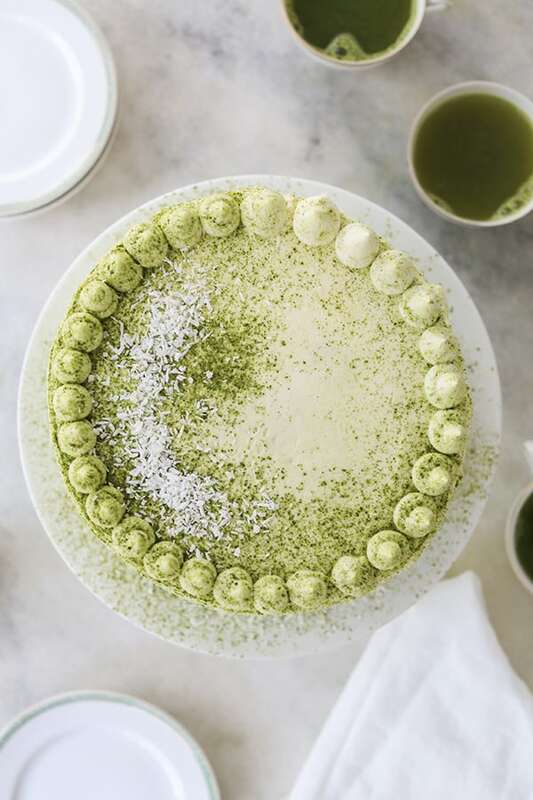 Make the recipe twice one with the matcha layer. Then stack them together with buttercream frosting. The Best Chocolate Fudge S’mores Popsicles! Decadent Chocolate Soufflés for two! Wow, this sounds and looks stunning! Thank you Taylor!! You’re the sweetest!! Hi, how much matcha powder do you add to the recipe? What temperature do you bake the cakes at? Please provide the frosting recipe!